I am a visual learner. I learn best through seeing words, text, slides, pictures, graphics, outlines, charts, diagrams, lists, notes, basically anything that I can observe or read. I do like to learn by touching and experiencing things (kinesthetic learning), but I tend to learn better when there’s something for me to read, too. I’m a terrible auditory learner. I find it hard to focus in lecture-style settings and I always struggle to remember the things I’m told. But if I’ve read it somewhere, there’s a good chance I’ll remember it. It took me a long time to figure out my preferred learning style. 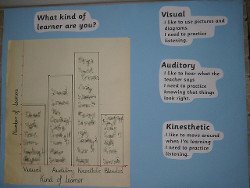 I know that the theory behind learning styles is hotly contested, but I have found the visual vs. auditory vs. kinesthetic learning distinction to be helpful both for my own learning, and for when I’m working with students. 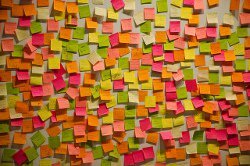 When it comes to vocabulary instruction, most of the commonly-used instructional techniques, particularly at the middle school and high school levels, tend to favor visual learners, i.e., learning words in context as you read, studying vocabulary wordlists or flashcards, doing vocabulary practice problems, reviewing vocabulary cartoons and memes, etc. That’s not a surprise since 65% of people are visual learners. Plus, vocabulary = words = text-based, making it an inherently visual medium. Provide Verbal Explanations: For auditory learners, encountering a new word (even if it’s via personally meaningful context) and reading its definition may not be sufficient. Hearing the word pronounced and listening to a verbal explanation of the word can help students better process the learning. 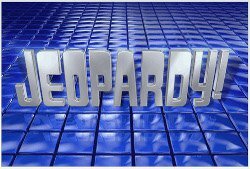 Play Quiz Games: Games like vocabulary jeopardy, that involve listening to clues, providing verbal explanations, and hearing words repeated, can really help auditory learners. Listen to Music: Vocabulary cartoons and memes are extremely popular for visual learners. For auditory learners, listening to vocabulary videos and music may be equally helpful. Check out Flocabulary for videos on teaching vocabulary via hip-hop music. Vocabulary Twitter Account: This is an updated version of the classic word wall. Instead of having students post vocabulary words on a shared wall in the classroom, create a shared Twitter account or hashtag, and have students take turns nominating vocabulary words of the day and using those words in sentences. Stick defenestrate on the window to remind students that defenestrate means to throw someone or something out of a window. It’s often used in reference to throwing politicians out of office. Stick elucidate on the light switch. As students turn on the light, hopefully they’ll think about how elucidate means to shed light on something or to make things more clear. Stick egress on the door. P.T. Barnum famously posted the sign, “This Way to the Egress,” in his museums. Visitors would follow the sign, expecting to see a new exhibit, only to learn that egress means exit. Stick disseminate on your phone. It’s probably the main device you use to share and spread info. I’d love to hear your suggestions! What are your favorite tips to help auditory and kinesthetic learners with vocabulary? Photo Credit: Flickr user lindah, Shawn Smith, and 3oheme. When I taught at The New Community School, absolutely every lesson was imbued with visual, auditory and kinesthetic involvement. de NVP leden houden zichzelf toch alleen aan deze uit de tijd regel? Is geen algemeen bindende regel m.i.. En alles wat je kan weten moet je weten toch? Chris — you and me, Dude. I'm on the ground. We can sit with our popcorn and watch the rest of these suckers plummet to their deaths.Roxanne. Seriously? Go you. You would take some amazing pictures. Chris and I will hold your purse.Jenni — you are kuh-RAY-zee! !Christy, I may– MAY — consider a tethered ride. Maybe. If Chris will hold my purse. Edie, what a wonderful testimony of God’s presence in your life. What an amazing response to such a life-changing situation. We have been so blessed to know you and Noble. God’s blessings on you both today. Hey, you used to write fantastic, but the last several posts have been kinda boringÃ¢â‚¬Â¦ I miss your tremendous writings. Past couple of posts are just just a little bit out of track! come on!